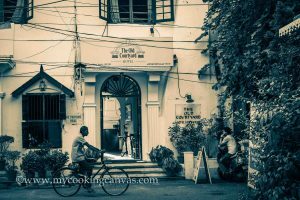 Fort Kochi, a picture-perfect seaside town with a rich Jewish legacy. 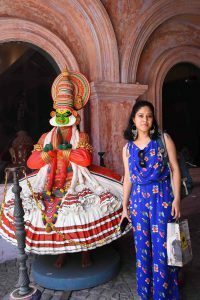 Colonial mansions, Art cafes, quirky boutiques, Colorful Graffiti, Antique shops, Vigorous churches and fragrant spice market; the place has everything to offer for an enliven stroll into the past. When you are in Fort Kochi, relax as much as you can. 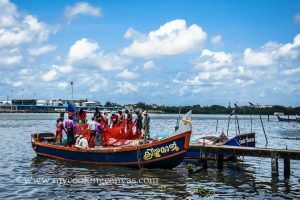 Here is a list of Must-do activities that will redefine your trip to Kochi. This place is gonna give you so much warmth apart from some delicious food. 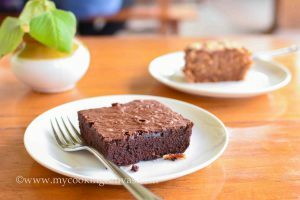 How about beginning your day with a hot cup of Capacinno and a warm slice of brownie. It sounds so yummilicious ! Isn’t it ? 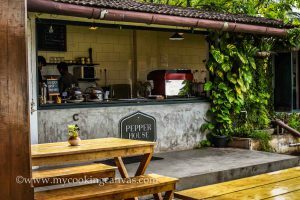 ”Pepper House” is the right place .to start your day with a spark. I loved their homemade cakes too. I am pretty sure you gonna order another piece for yourself as soon as you take one bite of that awesome goodness. 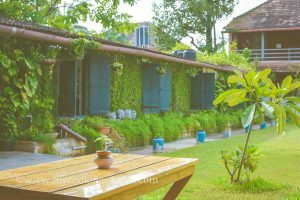 The Dutch Palace in Fort Kochi is something you shouldn’t miss. If you have an obsessive zeal for all those historical facts, undoubtedly this place will impress you. It showcased all pictorial information about Kings of Kochi and Dutch rulers. More than anything I was highly fascinated by Mural Paintings and those artistic windows. The romance for Mural paintings in Kerala has been started since the 9th century. Photography is prohibited inside the premises of Dutch Palace. Jewish synagogue, built in Jew Town in 1568 by the Malabar Yehudans or Cochin Jewish community, is a place of worship for Jewish people. The narrow lane located next to Synagogue is full of antique shops. You should be really good at bargaining before you decide to buy. 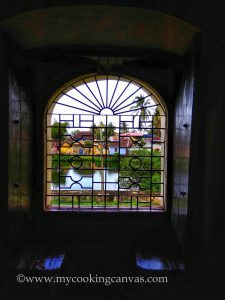 The old colonial buildings are also capable to take your attention while you stroll around Jew Town. I loved all those graffiti artwork which has become a Street culture in Fort Kochi. An impressive way to showcase unbridled expression of ideas and statements. Don’t you think so? St. Francis Church, one of the important landmark in Fort-Kochi.It is the Oldest European Church in India. The most magnificent pageant took place within the church was the burial of Vasco da Gama, who on his third visit to India, died in Fort Cochin in 1524. Today, the church is under the control of the Archaeological Survey of India. The old rope operated fans in the church are still preserved. 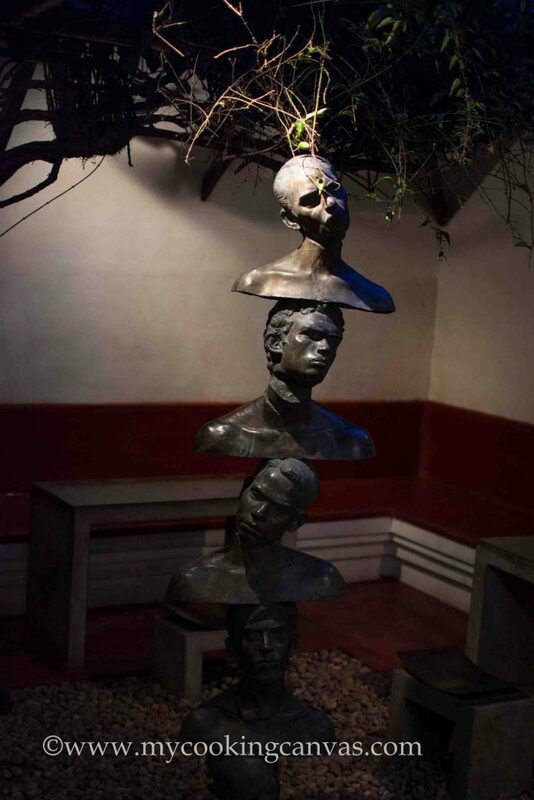 Fort Kochi is a place for Art lovers. One can gleefully stroll around the city the whole day without any complaint. And there are a lot of Art Cafes where you can relish some delicacies with a good view. 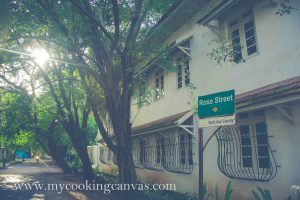 Burgher Street is full of such Cafes that will welcome with their beautiful artwork to rejuvenate your soul. ‘Bread World’ is a few months old in that lane which is next to ‘The Old Courtyard’ Hotel. They have an open space surrounded by art-works which made me busy while I was sipping hot cappuccino. 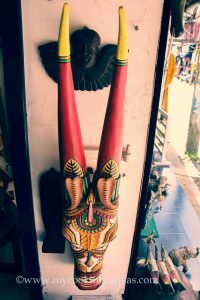 Kashi Art Café, Kochi is another popular name among the Art Cafes.A place that delights Art lovers with it’s appearance and Food. 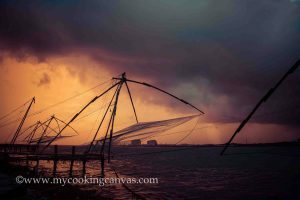 Chinese Fishing Nets, colloquially known as Cheena Vala, is a common sight in the backwaters around Fort Kochi. The golden backdrop during Sunset creates one of the breathtaking beauty. Make sure You visit this place during Sunset. Being located on Princess Street, this place is the oldest bakery in the Town. It’s also known as “German Bakery” in Kochi. 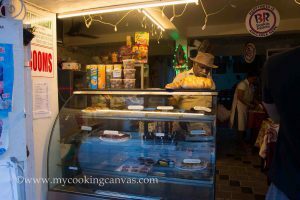 Apple Pie, Japanese Tarts, Brownies, Chocolate Dawkins and many other pastries are offered here. They also serve banana puffs,tea and sandwiches. Price is very nominal compared to the surrounding cafes. The ferry ride is amazing and it’s really cheap around Rs.4 per person.I asked him twice at the ticket counter! The ride gave delightful insights into the backwaters and a lovely view of the landscape. Also, you can hire a private jetty by hour, at Mattancherry Jetty. 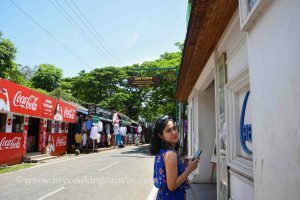 You can visit Willingdon Island by ferry from Mattancherry Jetty, and roam around the old Customs house and other buildings. Watching colorful fishing boats at a time is an interesting sight.